Budowitz, the award-winning traditional European klezmer music ensemble, performs kaleidoscopic renditions of Jewish folk music from the regions of Bessarabia, Galitsia, and Bukovina. The concert set will be followed by spirited Yiddish dancing, led by internationally-renowned musician and dance-leader, Michael Alpert. Who knew? - another year passed - start the new one with music at the WC Klezmer Jam on January 7 Workmen's Circle building, 1762 Beacon St., Brookline 7:00 - 9:00pm Come play klezmer in an informal and friendly atmosphere. We play from music, available at the jam. We have a variety of instruments, and welcome players at all levels. Keyboardists should bring electric keyboards if possible. Learn klezmer style (all instruments and levels) from members of the groundbreaking European ensemble, Budowitz; Yiddish dance taught by Michael Alpert; theater, language, literature, songs, history, and crafts workshops by other talented staff. Special programs for teens and youth. Monday, January 8, Chevan-Byrd Duo, 6:30 p.m. Temple B'nai Or, 60 Overlook Road, Morristown, New Jersey, for more information please call 973-539-4539. Thursday, January 11, 2007, 7:30 pm. Free and open to the public. Friday, January 12, 6:30 p.m., Dr. Martin Luther King Sabbath service and concert performance at Temple Israel, 14 Coleytown Road, Westport, Connecticut. For more information please call: (203) 227-1293. Isle of Klezbos Sextet in beautiful upstate New York! 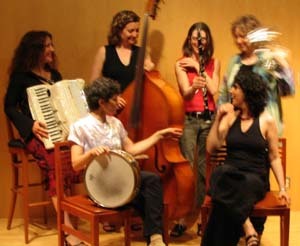 The Center for Traditional Music and Dance and the Jewish Community Center in Manhattan present a Tantshoyz (Dance House). Lace up your dancing shoes for an evening of traditional Ashkenazic dancing led by master dance leader and ethnomusicologist Walter Zev Feldman. Dr. Feldman will pay particular focus on forms such as the hora and bulgar and their connection to Romanian music. Live klezmer music will be provided by some of New York's hottest young musicians: Jake Shulman-Ment (violin), Michael Winograd (clarinet), Pete Rushefsky (tsimbl) and Nick Cudahy (bass). The next Astoria Klezmer Jam Session will be on Wednesday, December 13 7:30-9:30pm at Astoria Center, led by Margot Leverett and open to all. All musicians are welcome to join in, and anyone can come listen or just hang out - it's free! www.AstoriaCenter.org 27-35 Crescent Street, Astoria Queens, 718-278-2680 (N or W train to 30th Ave). Next jam session will be on Feb. 14. Groups from Israel and New York offer fresh takes on traditional Jewish music. The Kol Oud Tof trio from Israel interprets Judeo-Arabic and Ladino songs in a style that is both authentic and personal. New York’s Pharaoh’s Daughter is led by Basya Shechter, a creator of dynamic Hebrew songs that blend Sephardic, Arabic, East African, Turkish and Yiddish musical idioms. A Lid Un A Tfile: A celebration of the diversity of Jewish music, with traditional doinas and Yiddish Songs as well as original music such as Osvaldo Golijov' Tenebrae, John Zorn's Kol Nidre and Sergei Prokofiev's Overture on Hebrew Themes, plus more original Yiddish songs by David Wall and Marilyn Lerner. Performed by: David Wall & Monica Whicher (singers), David Buchbinder (trumpet), Martin van de Ven & Lori Freedman (clarinet), Marilyn Lerner & Andrew Burashko (piano), Erika Raum & Ben Bowman (violin), Steven Dann (viola), Thomas Wiebe (cello) and Jarek Obsadny (film maker). Art of Time Ensemble, Artistic Director and pianist Andrew Burashko's innovative chamber group, is pleased to present An Evening of Jewish Music: A Lid Un A Tfile - A Song and a Prayer, January 18 & 19, 2007 at 8pm at Harbourfront Centre Theatre, 231 Queens Quay West. This soulful and tuneful exploration of Eastern European-inspired music, new and old, features, along with the Art of Time Ensemble, the most outstanding musicians in Canada who use their Jewish roots as a springboard for their cutting-edge interpretations on the genre: David Buchbinder (trumpet), Marilyn Lerner (piano), Martin van de Ven and Lori Freedman (clarinets) and David Wall and Monica Whicher (singers). Abstract film imagery by Jarek Obsadny accompanies some of the music. Burashko chose the subtitle - A Lid Un A Tfile, translated as A Song And A Prayer - in honor of the importance music plays in Jewish religious and secular life and to celebrate the diversity of Jewish music today. The concert explores Ashkenazi (Eastern-European Jewry) musical themes in a diverse array of compositions ranging from traditional doinas (traditional song/chant) and classical compositions such as Osvaldo Golijov's Tenebrae, John Zorn's Kol Nidre and Sergei Prokofiev's Overture on Hebrew Themes to traditional and original klezmer and folk tunes by Wall and Lerner and jazzy scores and improvisations by Buchbinder and van de Ven. Truly, this is an evening of music not to be missed. Whether it be traditional, avant-garde or classical, each piece echoes its rich Jewish roots. One of the highlights of this evening filled with brilliance is that each half closes with a different treatment of the same Hebrew musical themes: Act One with traditional klezmer-inspired riffing from Buchbinder, Lerner and van de Ven; Act Two with Prokofiev's version of the same themes in his classical Overture on Hebrew Themes performed Burashko and the Art of Time Ensemble. 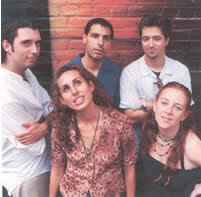 Kicking off their 2007 activities, Vampire Suit is performing at the Tea Lounge, one of Brooklyn's new and exciting spots for improvised music. The performance will take place on January 18th, at 9:00pm. The Tea Lounge is located at 837 Union St., Park Slope, Brooklyn. As the group's leader and composer, Jay Vilnai brings to Vampire Suit his wide palette experiences as a musician in New York, having shared the stage with such diverse figures as Klezmer great Frank London, Brazilian percussionist Jorge Martins and saxophonist Roy Nathanson, and having played anything from traditional jazz to Balkan music, Klezmer to Schoenberg, free improv to cabaret shows. Also in play is Vilnai's unique musical heritage as a Russian-Romanian-Polish descendant raised in Jerusalem around a mix of contemporary and traditional Jewish and Arab music, with a soul for rock n'roll and a BFA in jazz. Couple that with a passion for Bartok and Stravinsky and you end up with all original music that draws on all those influences to create something akin to traditional music for a generation that hails from so many traditions. 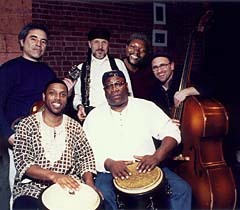 Balkan and Middle-Eastern rhythms are prominent, backed by 20th century composing concepts and jazz improvising. The Panorama Jazz Band of New Orleans will perform in Monroe Louisiana on January 20, 2007 at Congregation B'nai Israel, located at 2400 Orell Place (at the corner of Orell Place and Park Avenue) in Monroe. The concert will begin at 7:30 p.m. Seating is limited. Tickets are $15 per person or $50 for two Patron tickets. Patrons will be listed in the program. Proceeds benefit the preservation of the historic Jewish cemetery in Monroe. For more information, please call (318) 387-0730. The Panorama Jazz Band works in and around New Orleans. The six member group performs a variety of musical styles. Their main focus is on New Orleans jazz and Jewish klezmer (Jewish folk music). They also present Creole music from the Caribbean island of Martinique and folk music from the Balkan nations of Eastern Europe—Serbia, Macedonia and Bulgaria, and the Rom people ("Gypsies"). For those not familiar with klezmer music, the best way to describe it is "Jewish jazz"—good-time music! The music began in Eastern Europe and lends itself to traditional styles of music from all over the world. The instruments include clarinet, alto sax, accordion, banjo, tuba and drums. Rowdy or gentle, sweet or hot, the music is always exciting. Clarinetist Ben Schenck said, "We can play a lively 'freylekh,' a Jewish 'happy dance,' and then turn on a dime to bring out music from Jellyroll Morton or Louis Armstrong." In South Louisiana, the Panorama Jazz Band is popular at the New Orleans Jazz and Heritage festival, Mardi Gras parades, on Bourbon Street, at weddings and bar mitzvahs, school picnics, backyard barbecues, and private parties. They have made repeat performances at folk festivals in France and will perform in Minnesota at the 2007 St. Paul Winterfest. To place an ad in the program, please contact Don Marcus at (318) 325-7310. Ad copy deadline is January 7. All support is greatly appreciated. Saturday, January 20, 7:30 p.m., Kane Street Synagogue, 236 Kane Street, Brooklyn, NY 11231. 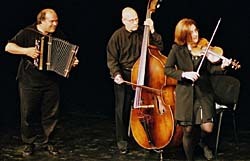 Playing in an unbound, energetic "village style", the trio Veretski Pass presents a concert of historical klezmer music of Eastern Europe; pre WWII melodies from Ukraine, Carpathian-Ruthenia, Bessarabia and Rumania played on violin, accordion tsimbl, basy and baraban. With unique arrangements and compositions, this group of veterans carries on the ancient tradition of klezmer musicians, playing music of all kinds, but with a recognizably Jewish sound. There's klezmer every Tuesday night at Cafe Moto in Williamsburg, Brooklyn. Music starts about 9:15PM and runs until about 11:45PM. So come on out! Moto has a great menu, fantastic desserts (esp. the date cake) and brews on tap. It's at 394 Broadway in Brooklyn... can take the J or M subway trains to Hewes St. and Cafe Moto is right under the station—the strange wedge shaped building at the corner in the middle of the intersection. No cover, a hat is passed. There's klezmer every Tuesday night with some random assortment of Michael Winograd, Jake Shulman-Ment, Jeff Perlman and Pete Rushefsky and their friends. Ray Hanania is a Palestinian-American standup comedian and an award-winning columnist for publications such as Yediot Ahranot's English website ynetnews.com. He is the most-written about Arab and Palestinian comedian in America today. Together with Aaron Freeman, a popular columnist, radio commentator, and Black convert to Judaism (whose comic strip 52 Portions is a regular feature on JVoices); Yisrael Campbell, a Catholic convert to Judaism who made aliyah six years ago; and Shachar Chason, one of Israel's most popular standup comedians, Warady and Hanania will tour Israel this winter to warm audiences with their eclectic blend of comedy, riffing on all matters sacred and profane. Thursday January 25th, 6:30pm at Helen's, NYC: 169 8th Ave. at 18th St.
Thursday, January 25, two assemblies 1st at 8:30, 2nd at 9:30 a.m., Walsh Intermediate School, 185 Damascus Rd., Branford, CT.
Steven Greenman, violinist, to lead klezmer workshops and perform with the Oklahoma State High School Honors Orchestra in Stillwater, OK Jan. 26th-27th, 2007. The Oklahoma State University Department of Music is pleased to announce its 3nd Annual High School Honors Orchestra January 26-27,2007. Selected string students will rehearse and perform on the OSU Campus at the Seretean Center for the Performing Arts under the direction of the OSU String Faculty. The Honors Orchestra will be conducted by OSU Symphony Orchestra conductor, Mr. Douglas Droste. Additional section instruction will be provided by OSU professors Dr. Laura Talbott, violin/viola, Mr. Jeffrey Lastrapes, cello, and Mr. George Speed, bass. The Honors Orchestra will perform in concert on Saturday night, January 27 at 8:00 P.M. in the Seretean Center Concert Hall. Saturday, January 27th 8:00 p.m.
Klezmer Conservatory Band and many of the best of today's klezmer musicians. faculty of the Berklee College of Music. Ashkenaz Jewish Music Festival in Toronto. LOCATION: Shorefront Y: 3300 Coney Island Ave.
Kumt, farbrengt mit mishpokhe un fraynd in a heymisher svive! The SOLOMON SISTERS are set to warm up the crowd for Steven Berkoff's new play 'Sit and Shiva' starring Berkoff himself. So come down, check us out and catch the play. Happy New Year. Bring friends & family, make yourselves comfortable!